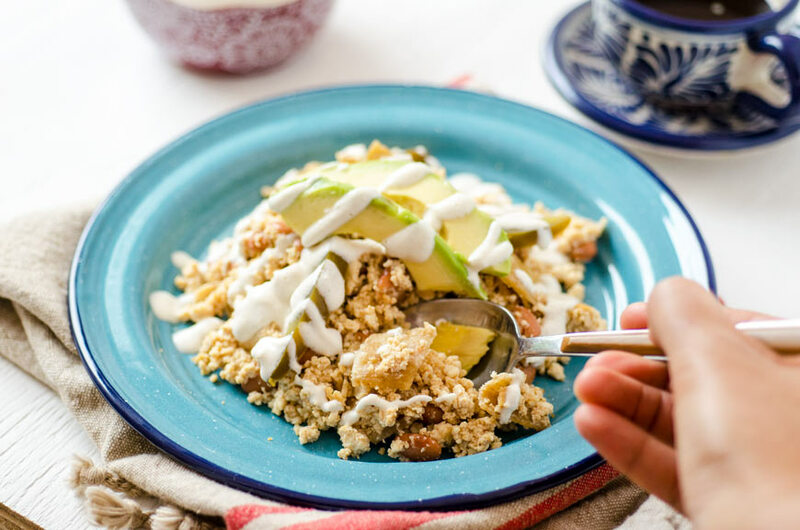 This Chiapas tofu avocado scramble is a traditional dish gone vegan, from one of Mexico’s southern states. 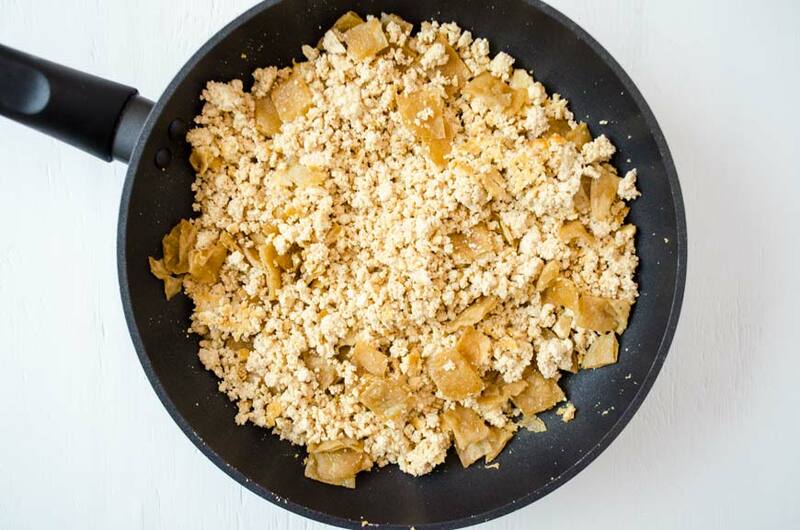 The tofu is scrambled with a mixture of spices, beans, and lightly fried tortillas strips. It is topped with sliced avocado, crema, and pickled jalapeños. 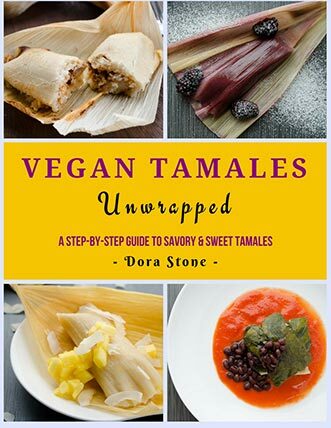 This recipe is part of an amazing project called Our Vegan Mexico, where 32 talented cooks will be showcasing, right here on Dora’s Table, 32 vegan Mexican recipes. Each recipe will be representing one state of the Mexican union. With this project, I am hoping to encourage the Mexican community in the U.S., and the people of my country to take a chance and make the change to a plant-based diet. I’m Mexican, born in Sonora!! A little more than two years ago my life took a huge turn. An antinuclear antibody test came back positive, and another series of lab tests finally determined the reason for my inexplicable fatigue, constant pain in my body and bones, hair loss, and gradual loss of hearing in my left ear. My immune system was weak, damaged, and my defenses, just like me, were tired. I returned home with many medications, that I was told I would need to take for life and an enormous sadness. It was then that my supervisor told me about the benefits of a plant-based lifestyle, and I decided to investigate. It has been only a year since I started nourishing my body on a plant-based diet and I have been reborn! I no longer feel pain or fatigue, my hair is beautiful, and I take zero medication!! 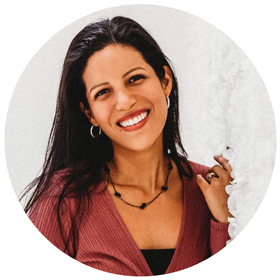 Today, a few months from graduating as a holistic nutrition life coach I feel that my life has taken another turn, but this time one of light and health. When Dora launched her project to invite our people to try just how delicious eating a plant-based diet can be, my heart jumped for joy! I wanted to make a special dish, and for me, breakfast is something very close to my heart, because it takes me to when I was a little girl and my family sat down on weekends to have breakfast together.
) you can get the tofu to taste like egg, because of the sulfur in the salt. This recipe will be even more delicious if you use homemade beans, but if you don’t have time you can use canned beans without a problem. If you don’t want to use oil, you can bake your tortilla strips. You can use your favorite vegan cheese as a topping for this. If you can’t find or don’t like cashews you can make this almond crema. 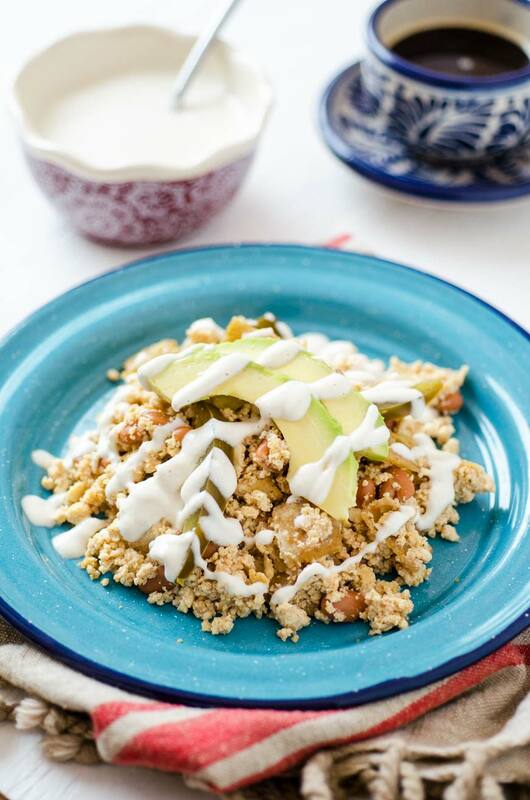 This Chiapas tofu avocado scramble, cooked with spices, beans, and tortillas strips. Topped with avocado, crema, and pickled jalapeños. 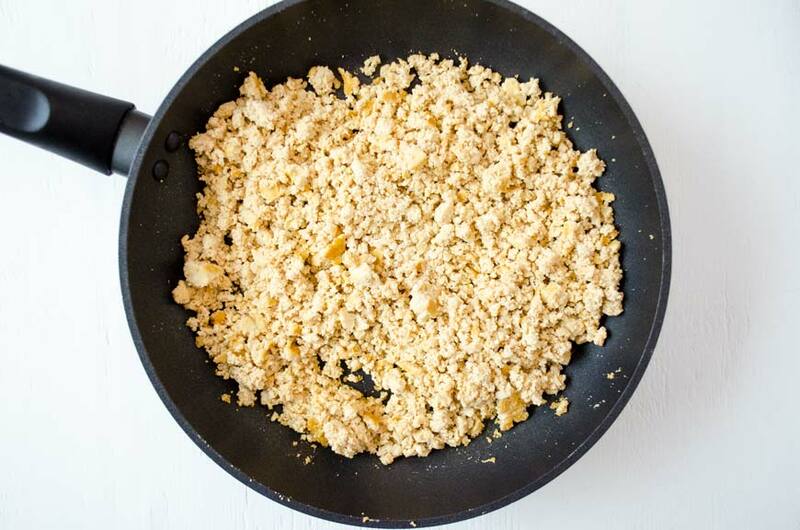 Crumble the tofu with your hands, until it has the consistency of scrambled eggs. 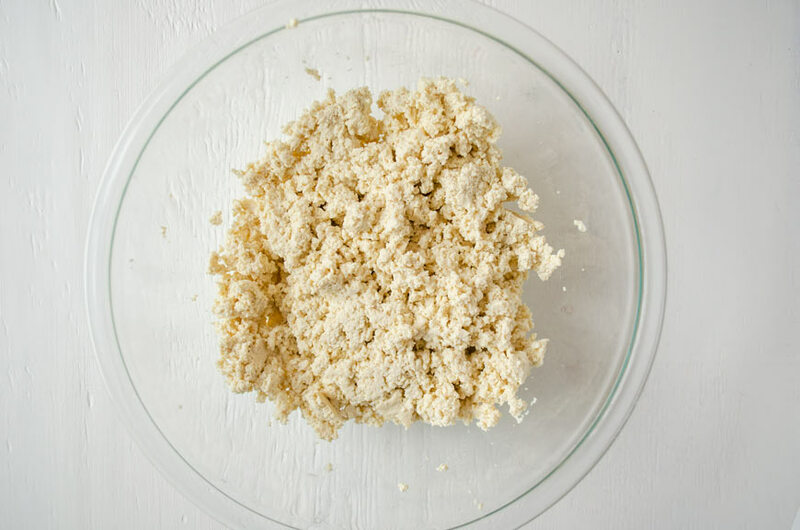 In a small bowl, mix the garlic powder, onion powder, paprika, nutritional yeast, cumin, and salt. 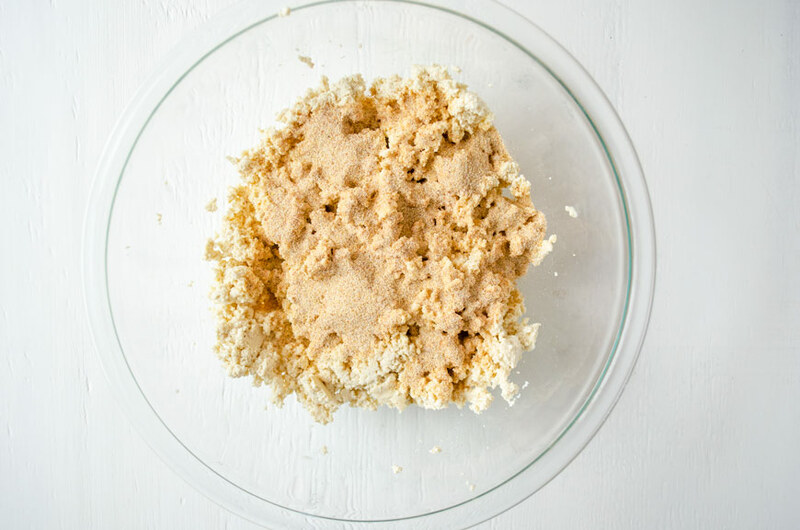 Add this spice mixture to the crumbled tofu and mix well. Heat a medium sauté pan to medium heat. Add 1 tbsp. of oil and cook the tofu until golden brown, about 6 to 7 minutes. In another sauté pan, set to medium heat, add the remaining tbsp. of oil and add the tortilla strips to the pan. Cook until golden brown and remove from the pan. 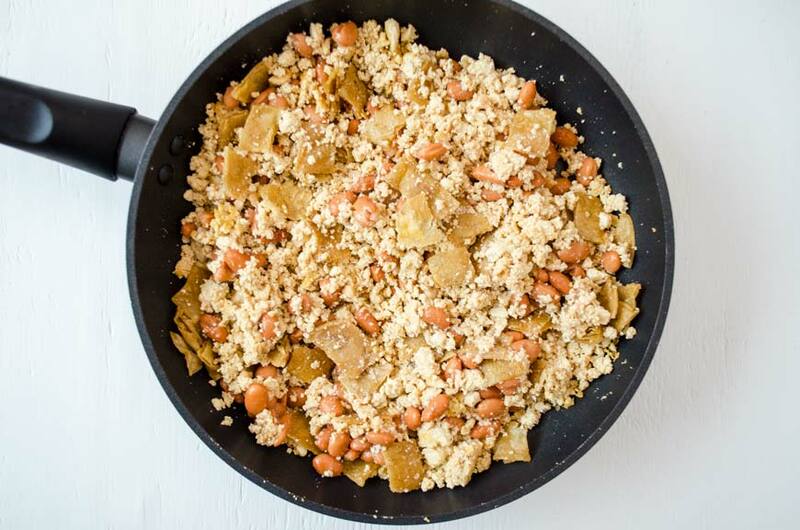 Add the soupy beans and crispy tortilla strips to the tofu, and mix well. Season to taste. Serve topped with slices of vegan cheese, pickled jalapeño peppers, avocado slices, and cashew crema. Soak the cashews in ½ cup of water for two hours. Once the cashews have soaked, place them in the blender with the soaking water, lemon juice, apple cider vinegar, and salt. Process until completely smooth and cream like. 01/14/2019 /0 Comments/by Dora S.